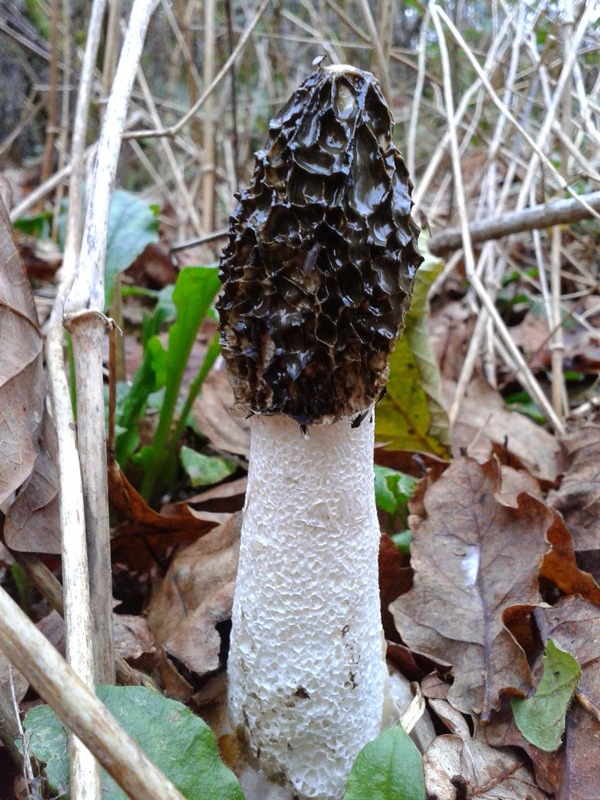 This Stinkhorn - Phallus impudicus- came up in my wood last week, normally they appear during the summer or early Autumn, however this one seems a little "confused". If you want to catch sight of one before the flies have stripped the gleba back to the beautiful honeycomb lattice you need to get up fairly early in the morning! However this picture was taken on the afternoon of the second day and appears relatively undamaged. Coming up out of season means there have been no flies around to discover it. Since the species relies on these flies for spore dispersal this specimen will have no chance of propagating itself. I assume the relatively mild Autumn has "confused it". Alongside it I found another egg which has been there now for over a week and I'm wondering whether it will ever burst forth. I'll keep watching! Nice photo Tony --- it is certainly confused. 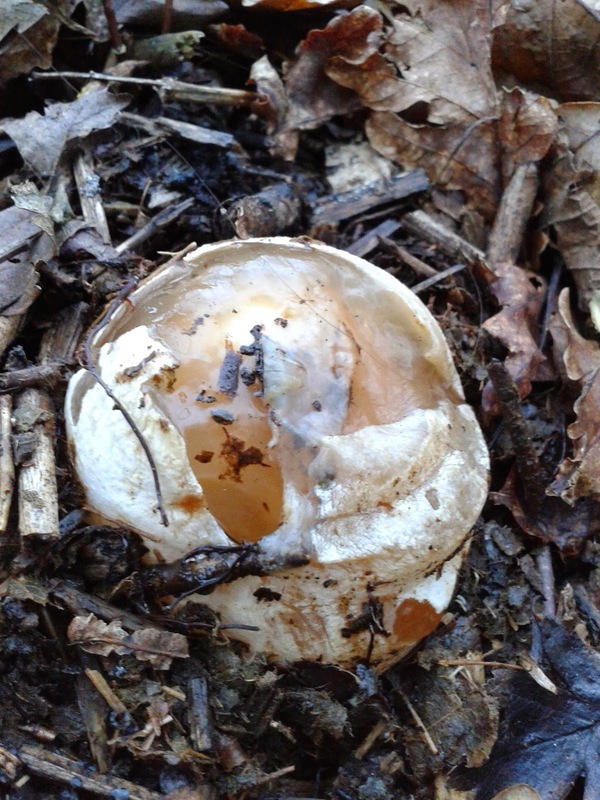 Don't let the 'egg' go to waste as just re-reading an old BMS Buletin (autumn 1977) with culinary hints "Stinkhorn eggs are delicious. Remove the outer layer and slice. Serve raw with vinaigrette dressing or fried in butter with bacon and eggs". Perhaps you should rise early and collect for breakfast ---- make a change from turkey. Thanks for the complement Philip, but afraid I can't take the credit, Emily was with me and took the photos!